Mike grew up in the Seattle area before beginning undergraduate study in 1999 at the University of Washington, where he later graduated with BSc's in biochemistry and economics. During this time he was also introduced to computational genomics as the initial draft Human Genome was being finished, spending several years doing research in gene finding and protein structure prediction. He continued studying biochemistry as a graduate student at UCLA, but returned to genomics in 2005 when he moved to the Wellcome Trust Sanger Institute in Cambridge, UK. While at Sanger, Mike completed his PhD with Prof Leena Peltonen and Prof Gert-Jan van Ommen and was heavily involved in the first wave of genome-wide association studies, especially the statistical methods thereof. He also led large-scale studies to integrate multi-omic data, and identified a gene co-expression network related to the innate immune response and associated with diverse metabolic traits. In 2010, Mike moved to the Walter and Eliza Hall Institute in Melbourne on an NHMRC postdoctoral fellowship to continue applying genomic expertise to problems in immunology. 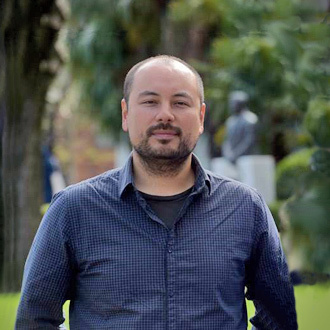 In 2012, he joined the faculty at the University of Melbourne where he later began an NHMRC – Heart Foundation Career Development Fellowship, was awarded the Heart Foundation's Paul Korner Innovation Award, and co-founded the UoM Centre for Systems Genomics. In 2017, Mike was recruited to the Baker Institute to establish the Systems Genomics Laboratory and he maintains close links with the University of Melbourne and the University of Cambridge (UK).